The challenge was on. What can you do with an acorn squash that is different and tasty? 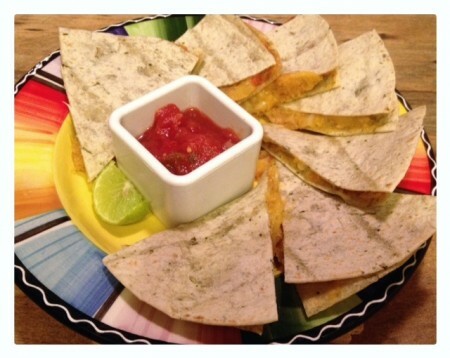 At our house, we love quesadillas! A quesadilla is a flour tortilla filled with a savory mixture containing cheese, vegetables, chicken, beef, or even, tofu. It is a basic tortilla “grilled cheese sandwich” but with a spicy kick! I cooked the acorn squash in the oven until tender and mashed it. I added lots of jalapeno chiles and onions to the squash. I made the quesadilla by layering the squash mixture in the tortilla with cheese and heating it. It was a great new way to use acorn squash!